Win 4x day passes to Alton Towers Resort and a month's supply of Seabrook Crisps. 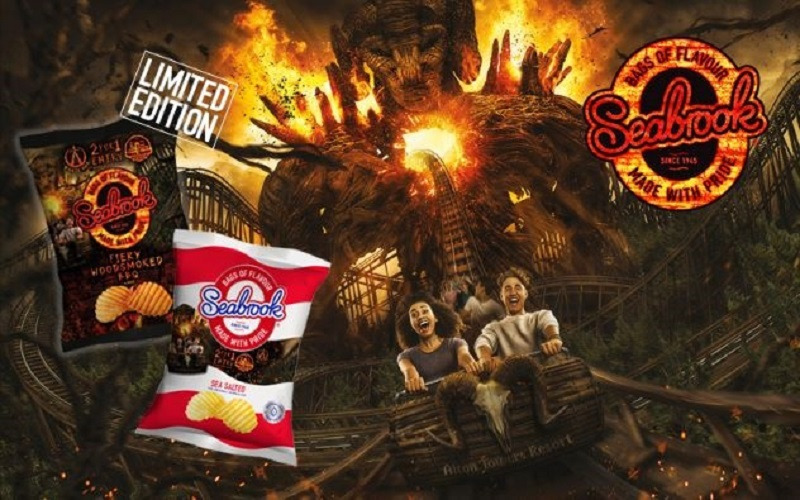 Seabrook Crisps, the exclusive crisp partner of the new Wicker Man Ride at Alton Towers Resort, has launched a special on-pack promotion offering two for one entry to Alton Towers Resort, worth up to £55 per pack. The deal is running across special promotional packs in the Seabrook Crinkle Cut range, including multipacks, sharing and handy packs. To celebrate this exciting partnership, Seabrook Crisps is giving away a set of family tickets (4 tickers) for Alton Towers Resort and a month’s supply of Seabrook Crisps for two lucky winners - the perfect competition for families and thrill seekers alike. The Yorkshire based crisp manufacturer has also released an exciting new limited edition flavour, Fiery Woodsmoked BBQ, which is smokey, hot and exciting – just like the ride! The flavour captures the essence of the Wicker Man attraction, combining wood and flames to create a unique taste experience. New Fiery Woodsmoked BBQ is a complex flavour which combines flame, smoke and heat, but backed up with a little chilli to add a subtle kick. As Britain’s original crinkle cut crisp, Seabrook Crisps has over 70 years’ worth of experience. The brand has become loved by fans all over the country for its flavours, such as Sea Salted, Beefy and Canadian Ham. The entire range is gluten free and vegetarian friendly.